This week at PopMatters, I write about the PS4's most exciting feature: its 8 gigabytes of RAM! Just kidding; it's the share button. The share button and the suite of social features surrounding it tap into some of my favorite philosophical aspects of the video game industry. 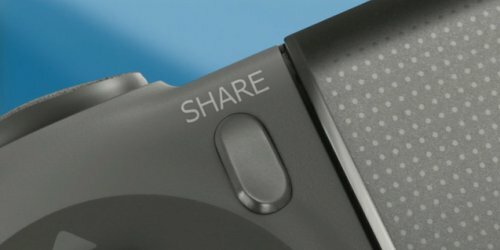 It's definitely an attempt by Sony to ensnare people in their ecosystem, but it also has the potential to empower players. The concept of working in marketing or public relations in an environment where anybody can quickly and easily stream and share their first-hand experiences of a game is terrifying. How do you stay "on message" if said message can be overwhelmed by a title wave of grassroots opinions? Additionally, the share button has the potential to drastically impact historical and preservation efforts. I'm sure the technology won't be ideal and it's bound to be disorganized, but even this imperfect solution is bound to provide exponentially more historical documentation than we've ever had. Streaming is currently a pretty time and resource intensive process. The idea that it could be built into the very hardware of a device means huge numbers of people who would otherwise never actively contribute to posterity will now have a voice. Assuming the videos can be exported to a third-party platform like YouTube, we'll have a record of our games, how we played them, and what that looked like in the context of when they were released. Games will be patched and eventually forgotten, but at least we have the potential to capture specific moments in time. Of course, all this assumes Sony (and Microsoft) actually pull this off without getting bogged down in technical issues or a desire to enforce a prohibitively closed ecosystem. I doubt it will be perfect (no console maker has a great track record when it comes to smart software decisions), but I have to believe that this is a step in the right direction.